Any Hog 4 PC System is a flexible hardware and software package that provides the power of the Wholehog software on a personal computer. 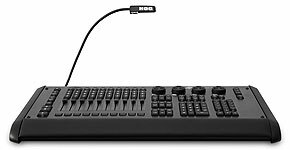 Hog 4PC offers a cost effective and flexible suite of software and hardware components that combine to produce the system you need: from the free Hog 4 PC software for viewing and editing Hog 4 OS shows through to a fully fledged DMX console with Touch-Monitor, Nano Hog 4, Wings and DMX output. Output Art-Net and E.1.3.1 (sACN) directly from Hog 4 PC with any Hog widgets attached. Hog 4PC is the ideal backup solution and perfect for automated playback in retail and architectural applications. Windows 8/8.1 32-bit or 64-bit.